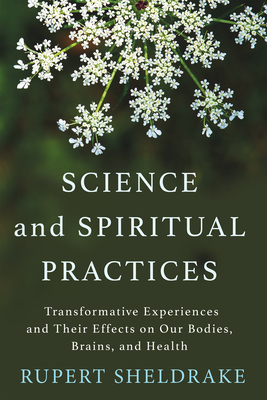 The effects of spiritual practices are now being investigated scientifically as never before, and many studies have shown that religious and spiritual practices generally make people happier and healthier. In this pioneering book, Rupert Sheldrake shows how science helps validate seven practices on which many religions are built, and which are part of our common human heritage: meditation, gratitude, connecting with nature, relating to plants, rituals, singing and chanting, and pilgrimage and holy places. Sheldrake summarizes the latest scientific research on what happens when we take part in these practices, and suggests ways that readers can explore these fields for themselves. For those who are religious, Science and Spiritual Practices will illuminate the evolutionary origins of their own traditions and give a new appreciation of their power. For the nonreligious, this book will show how the core practices of spirituality are accessible to all. This is a book for anyone who suspects that in the drive toward radical secularism, something valuable has been left behind. Rupert Sheldrake compellingly argues that by opening ourselves to the spiritual dimension, we may find the strength to live more fulfilling lives. "The Rebirth of Nature is a breakthrough book, beautifully written and spiritually oriented. It shows our intimate relationship with the universe—that we are a part of a breathing, living, thinking cosmos and that intelligence is a pervasive reality inseparably one with nature. This book will take everyone who reads it to new heights of understanding. "––Deepak Chopra, M.D.